Wakeskater Studio Indie Game Development: A Week of Greenlight - New Project - Boston Post Mortem fun. A Week of Greenlight - New Project - Boston Post Mortem fun. Well it's been a week since I've put SBX: Invasion up on Greenlight and it's doing... not as bad as it could be. For the first few days the game sat at about 20% Yes Votes which honestly isn't that bad considering how niche tower defense games are, and there isn't a very good category to put them in. Currently the game is at 14% Yes Votes, 3% Unanswered and 83% No Votes. I haven't managed to get much publicity out yet, and I'm going to be trying to get some info out there about the game and see if I can drum up some excitement. Hopefully driving some customers to the Greenlight page will increase the Yes to No Ratio and get more eyes on the project. It's been tough getting the game out there, but I think it's probably time to shelf the project for a while and move on to new stuff. I've learned a lot about game development and grown a lot as a developer on this project. And I have already started on my next project as well. 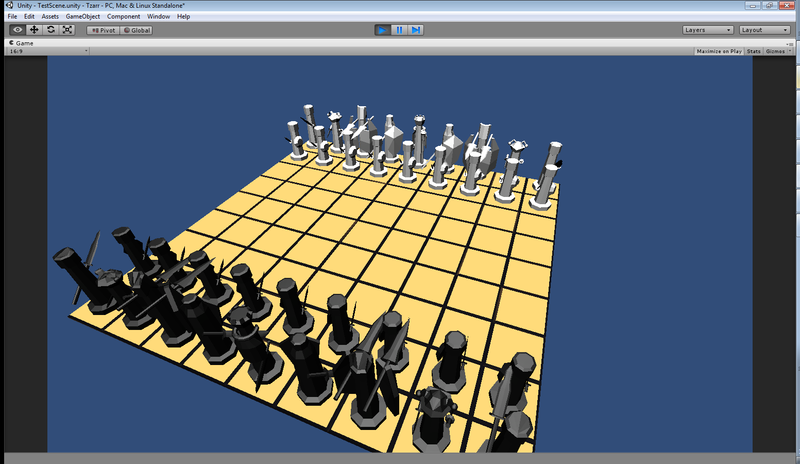 The next project is going to be a smaller project in Unity called Tzarr. I'll be working with a programmer I met in the GDU skype group, Derek, who will be handling the network side of things. We're working on Tzarr in order to see how well we work together and make something smaller in preparation for a larger project later. The game will play similar to Shogi and Chess with some key differences, and we'll be going through various rule sets to nail down one that makes sense. The goal at the moment is to build a powerful flexible system to create all sorts of board set ups and rule sets quickly and effectively. We're striving for a turn based playable build by the end of January to put out for people to try. And then finally, last night was the Boston Post Mortem! My good buddy Ben Taylor spoke on Game Jams and going into them with the right kind of mindset. He gave a bunch of ways to "win" at Game Jams, whether it be coming out of it with a prototype, art, money, or new work partners, you should always focus on "winning" and planning on something you specifically want to gain from them. It was a great time meeting people and networking as well. I was introduced to Ken Rolston, the Lead Designer of Morrowind and Oblivion, and we got to chat for a good half hour and I was able to pick his brain on all sorts of things. That was a great experience and it was fun talking to him about his start as a designer just making pen and paper games and how he got into the industry. Boston really has some awesome companies. One guy I know from Turbine told me I should check out Infinite Crisis, a DC Comics MOBA and it looks pretty interesting. If you like League of Legends or DOTA you should sign up for the Beta too! It's been a very fun week and I'm excited about Tzarr and prototyping out a bunch of different game modes and rule sets. Things are starting to come together in 2014! I might even do a talk at BPM at some point about my first year as an indie and about the launch of SBX: Invasion! So subscribe to the blog for the weekly updates! Cheers and Good Day!